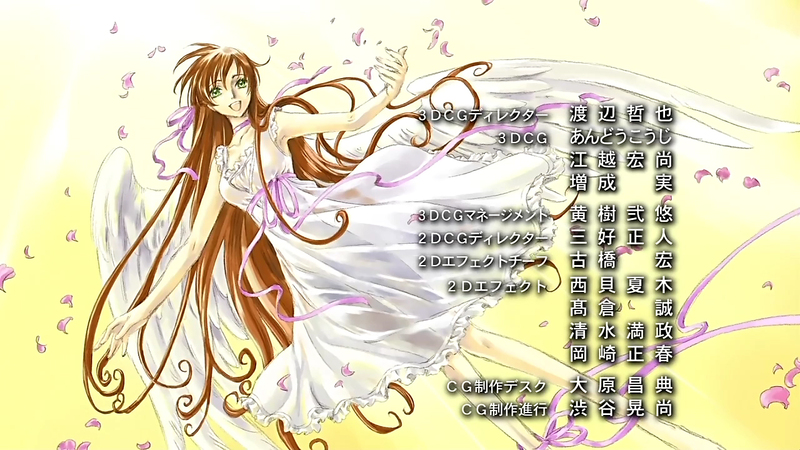 The new Ending sequence of Code Geass R2 was shown for the first time today, and as it was previously announced, CLAMP drew the illustrations for it. You can download the new Ending sequence in high quality (1280×720 px) here, or watch it on YouTube. A few weeks after the release of XXXHOLiC #13, let’s check its performance on the biggest japanese charts. Very good positions, it would have done even better without the pre-orders from Kodansha’s official website. Also, the first DVD has peaked the 4th position on Oricon’s DVD chart. Here’s one of the latest entries posted by Ohkawa on her Private Board, in which she once again says to be working on an anime script (last time we heard she was plotting the anime and now she has moved on to the actual writing process). Of course, anime is wonderful as it is. Lately I’ve been thinking that’s quite troublesome. That’s what I was thinking right now as I write the anime script. She seems to be complaining about something, but I don’t have absolutely sure of what, in fact, if someone with japanese skills could give us some light I would appreciate it ^__^ Looking at a certain angle I get the feeling she’s writing about the hardships of writing an anime script based on a manga, and also that we shouldn’t consider the anime as “canon”? Because of its popularity people tend to think what’s in the anime is the same as what’s in the manga… I think that once the big project is released (whatever that project is), this post will become clearer. By the way, about the big project, the notification that came in the latest Shonen Magazine was あの大好評企画が再び始動！, which means That very popular project starts again!. Yes they were ^^ So gorgeous! >Also Ohkawa’s ramblings have definitely caught my attention. Hope its good news XD! 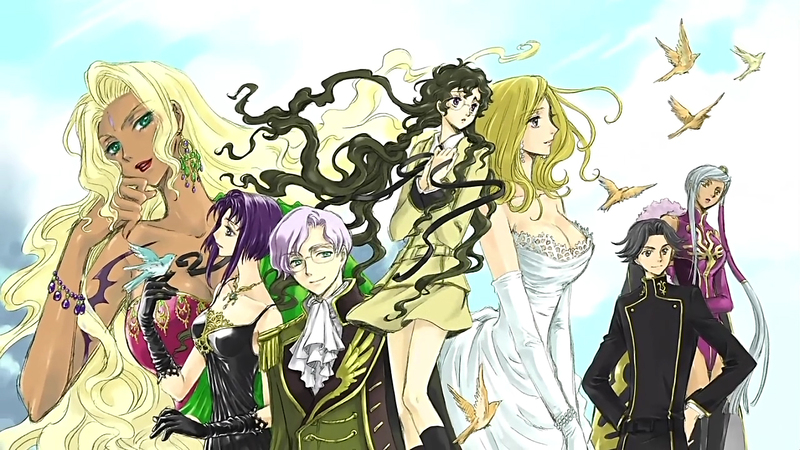 Code Geass art *_________* Beautiful. Additionally, Oricon reports that XXXHOLiC #13 sold 276.096 copies on its first week. though I don’t like the tone color here very much like the 3rd screen cap the color look so messy, i dunno if this the new color style of nekoi but i like their usual coloring more. I prefer their natural coloring too, but Nekoi has gotten so good with CG, I’m speechless. That’s funny, I thought it was really well done, especially Sayako’s tone. 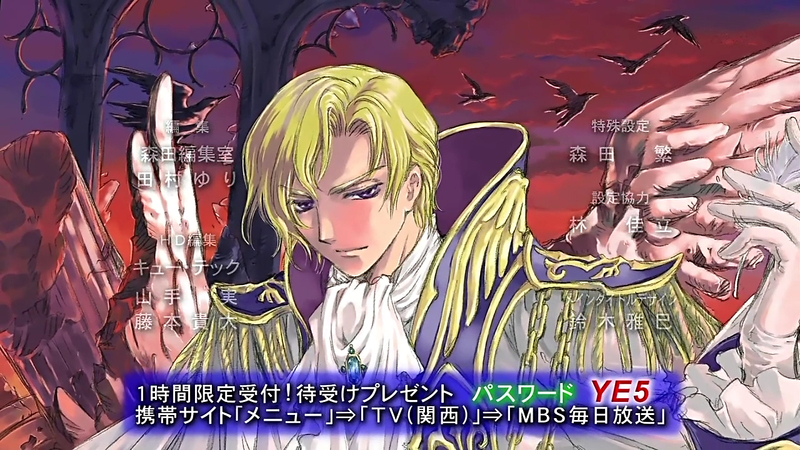 Oh, in the third screencap, Diethard is the blonde guy, while Ougi is the one with the red bandanna. I haven’t watched Code Geass yet, ’cause I think I should read the manga first, and I won’t read until school’s over, and winter break starts next week. BUT~ those drawings are absolutely wonderful! I noticed that “Hana Yori Dango #37” was most of the times in first place on the rankings, so I suppose it’s a pretty cool manga, huh? Too bad I decided I’d only read mangas by CLAMP. If I were to read some other mangaka’s work, I’d feel…unfaithful. Silly, I know. About that Kobato. glitch…poor girls! Thank you very much, again! >I noticed that “Hana Yori Dango #37” was most of the times in first place on the rankings, so I suppose it’s a pretty cool manga, huh? >Too bad I decided I’d only read mangas by CLAMP. and the images are beatiful!! >Your English version looks pretty good to me. Really? That’s great coming from you! So you felt it too, huh? And you know japanese a lot. She was troubled about something, and I do think that she was saying that anime is a different “entity” that shouldn’t be compared to the manga, at least that’s what she thinks. I think so, too. You know, a lot of people do get extremely ticked when the anime strays from the manga- personally, I feel that if it’s different, (and especially if it’s done with the consent of the creator, or if the creator helps out with the project as much as CLAMP does), then it’s just more interesting variety. I’m the type who loves to see as much of what i’m obsessed with as possible, so even though the Anime bombed, I liked it, just a little, since I got to see my favorite characters going on some various new adventures. It was at least a little exciting… anyway, I’m sure whatever happens, or whatever changes are made, so long as Ohkawa-sensei is part of making it all happen, I for one will love and appreciate it! I agree with almost everything that you said. I agree heartfully with you that anime is anime and manga is manga. Of course I prefer if the anime follows the manga until before the end, but I don’t think the end should be the same for both the anime and manga, I think that could be boring. I like differences, specially when they are approved by the original author (in this case, Ohkawa). But if they are not, and even so the changes turn out to be good to make the anime more interesting, then I’m all for changes. The biggest problem with Tsubasa Chronicle, for me at least, wasn’t the story (which was very faithful to the manga at least in season 1). The biggest problem was the very bad animation. >Also is good to see that xxxHOLiC is popular even with all that breaks. But I really was planning and buying other stuffs lately ;__; I’m happy about the new anime but I hope it won’t start before october (like last year…). >But I really was planning and buying other stuffs lately ;__; I’m happy about the new anime but I hope it won’t start before october (like last year…). 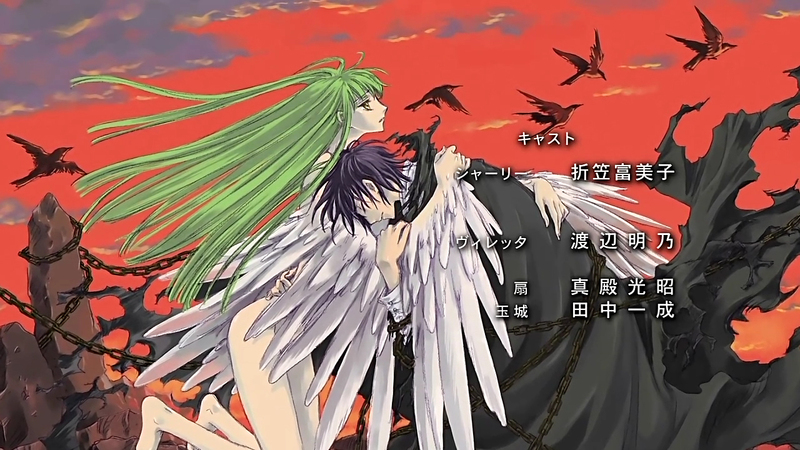 about what Okawa wrote – I think she’s disappointed about the anime and the horrible ending and how the new OAD’s don’t correspond well with them, that why she wrote that she prefers to see the anime as a diffrent story (paraller one, and finished one)..
CG ending – nice, sometimes I can see x/1999 motives in it, ne? >I think she’s disappointed about the anime and the horrible ending and how the new OAD’s don’t correspond well with them, that why she wrote that she prefers to see the anime as a diffrent story (paraller one, and finished one)..
>I’m not a fluent japanese speaker, but I think she’s complaining about matching the anime plot to manga plot, with anime being sort of a separate story. I see, thank you so much for your input! I agree that that’s what she’s complaining about, about how hard it is to write an anime plot based on a manga (specially when this is supposedly the last one and there’s so much left to tell!). I simply love the first one and the last two *o* (Lulu-sama! TSUBASA’S INFINITY ARC, INFINITY ARC, INFINITY ARC, INFINITY ARC, INFINITY ARC, INFINITY ARC, INFINITY ARC, INFINITY ARC, INFINITY ARC, INFINITY ARC, INFINITY ARC, INFINITY ARC O.V.A!!!! I love that they included some of the minor characters in the ending illustrations. 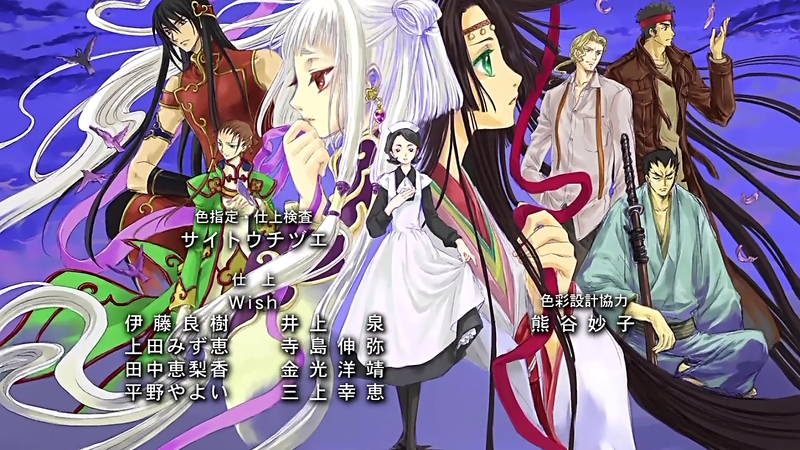 But if Ohkawa is talking about linking the original to the anime or making the anime an independant story from the original, I don’t think it’s going to be Horitsuba, but rather a continuation of Tsubasa without its links to xxxHolic. >But if Ohkawa is talking about linking the original to the anime or making the anime an independant story from the original, I don’t think it’s going to be Horitsuba, but rather a continuation of Tsubasa without its links to xxxHolic. Word on that. Or maybe it will have the links to XXXHOLiC, Syaoran was quite worried about Watanuki falling from the window in Tokyo Revelations. I hope so too! Infinity with an original ending! I don’t think it’s Holitsuba (sorry I don’t want to disapppoint you! ^^), since Ohkawa appears to be having a hard time on script-writing it (you would imagine that Holitsuba would be a piece of cake for her xD). Thanks Chibiyuuto-san for the cool info, as always 😀 ! You’re most certainly welcome, kira-hime! 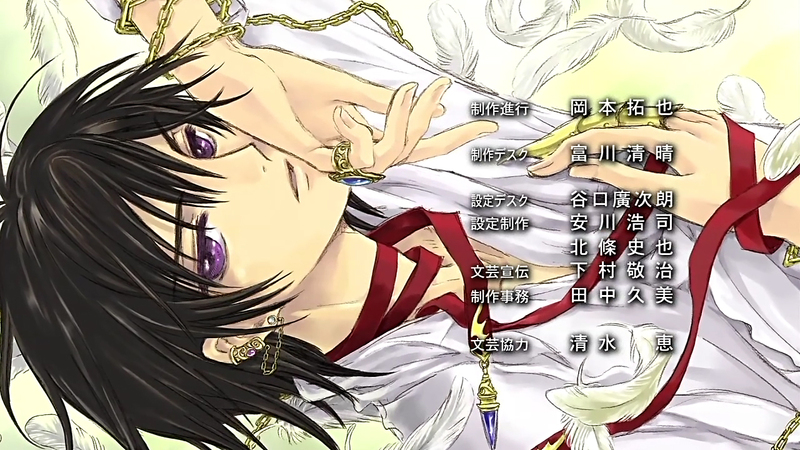 But yeah, i can forgive CLAMP for all the breaks and stuff if we get so many CG goodies. My money is on Infinity too, they hinted that in the ED of Tokyo Revelations. BUT, I think it’ll have an original ending there… Ohkawa is burning her brain out to write one, I think. 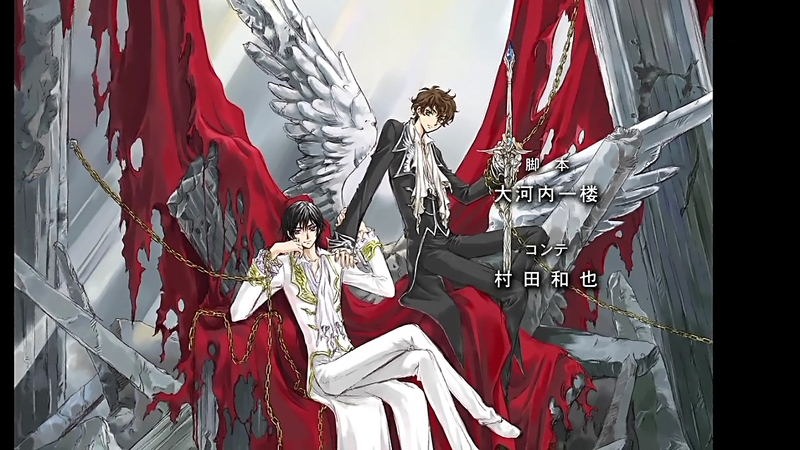 Yes they are xD Loved Suzaku’s outfit and his sword! Thanks you so much for sharing ! I never thought that Kei would sell so much… I still need to watch the last three episodes. I love that one too, very symbolic. I can’t really understand what Ohkawa is saying in her somewhat-rant either… ^_^;; Why doesn’t she ever say things directly?! 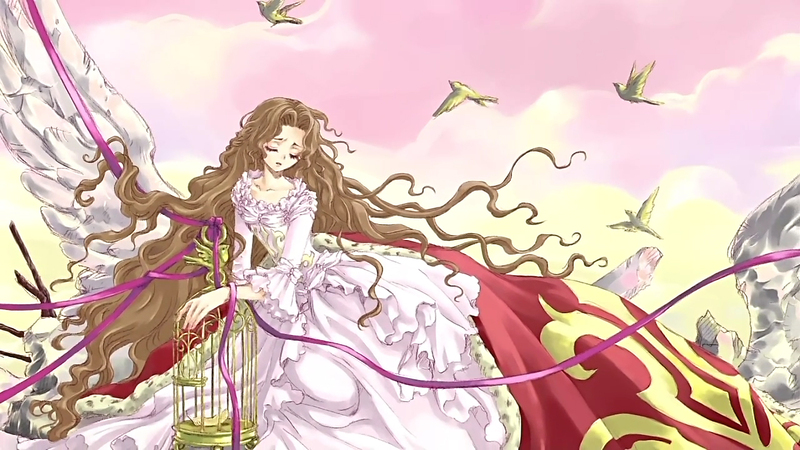 But I’ve always thought it must be difficult for Ohkawa to see her creations go to anime. If she does the script, she usually has to cut parts of her stories out, or change them due to time-keeping (or in HOLiC’s case, the big problem with there being no cross-overs). Or, if someone else takes her manga to an anime adaptation, there’s a big possibility that the director will start making changes that Ohkawa wouldn’t have wanted. In Tsubasa’s case, the entire plot, character relationships and personalities ended up being changed beyond recognition! Still excited to find out what this script actually is though! !